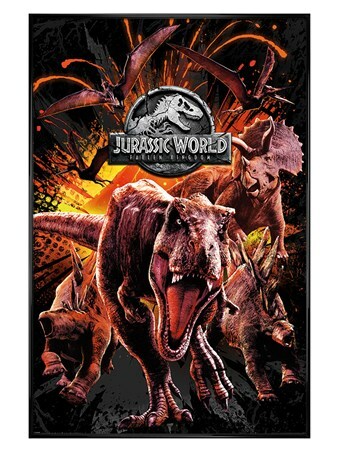 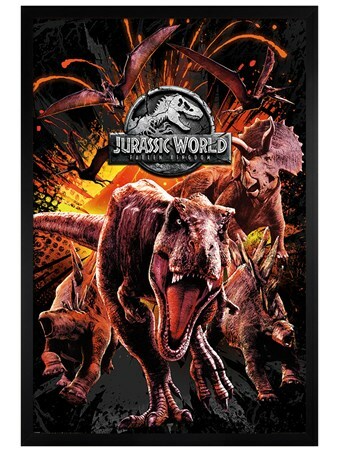 What could possibly go wrong when creating a theme park full of huge predators with sharp teeth and an appetite for flesh? 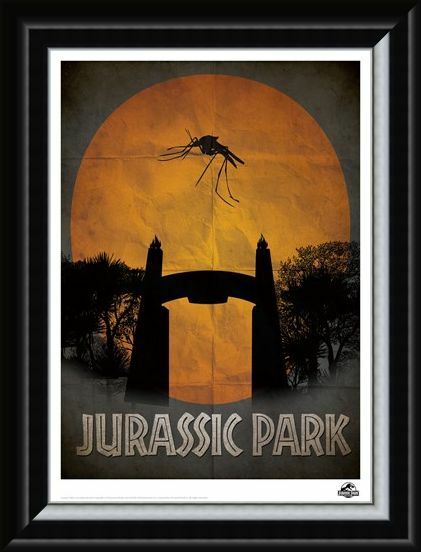 The creators of Jurassic Park certainly didn't think that one through for too long! If the memory of this classic film still burns bright in your mind, then this classic print is sure to get you feeling nostalgic. 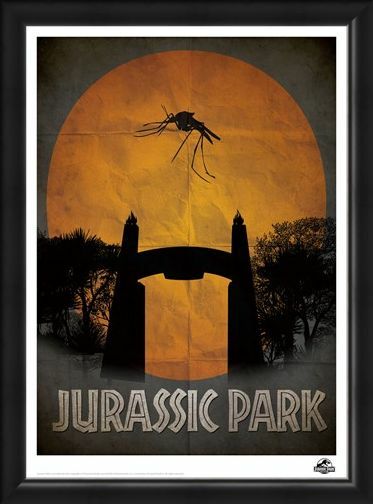 Featuring the large gates which greet your entrance to the dino park, a lifeless, fossilised mosquito encased in amber, awaits a DNA extraction. 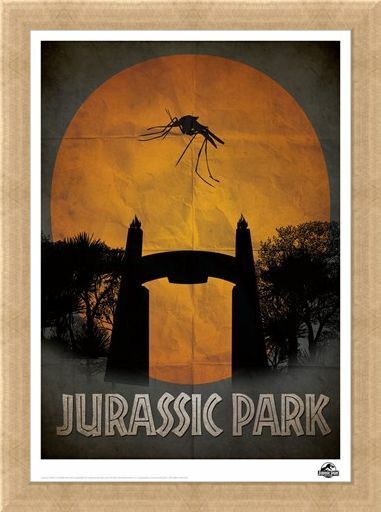 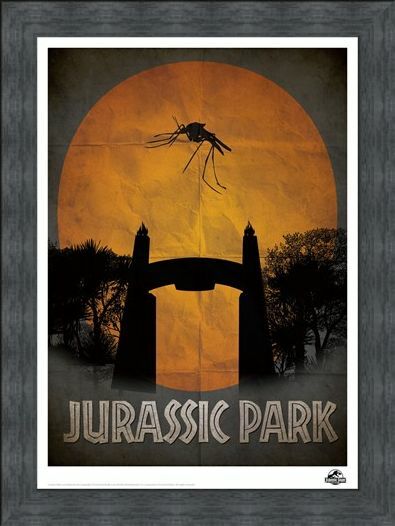 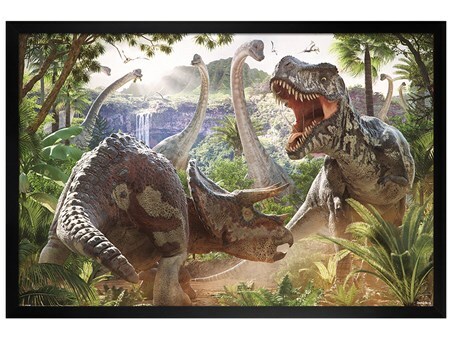 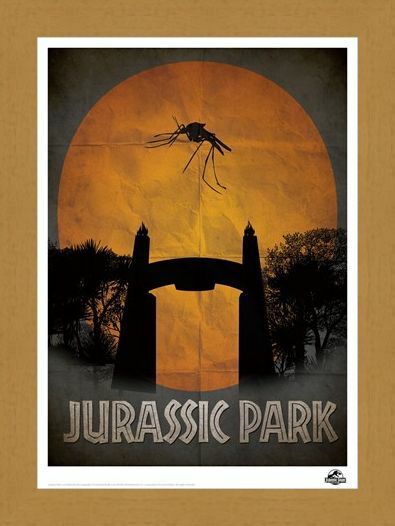 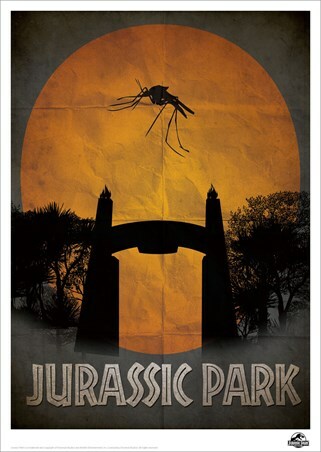 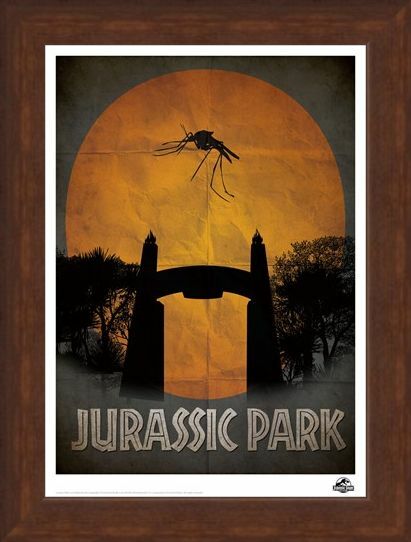 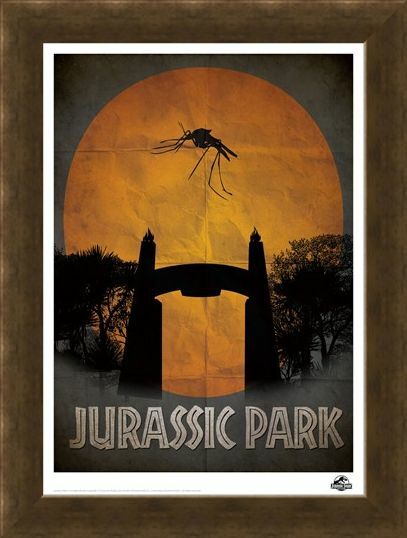 If you loved this Steven Spielberg blockbuster, then this epic print is a must have to decorate your movie loving home. 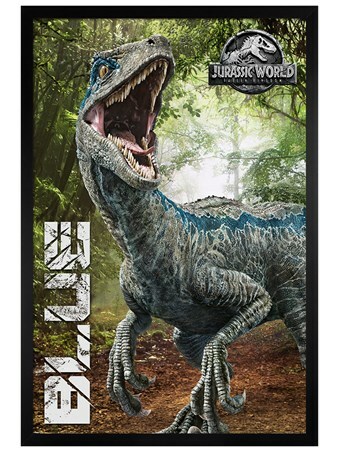 Complete with numbered certificate and limited to very small numbers worldwide. 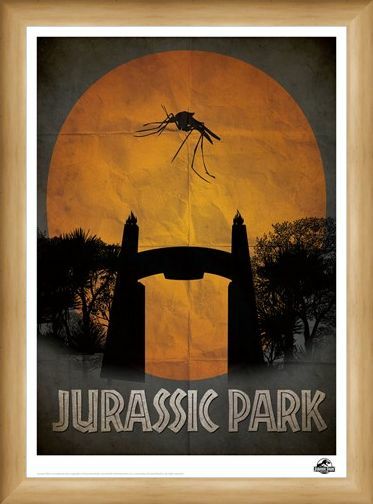 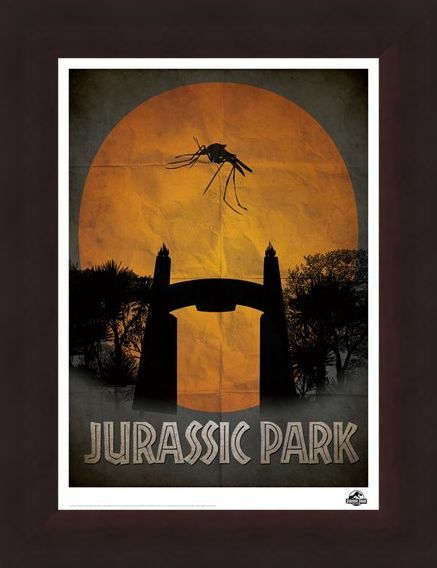 High quality, framed The Grand Gates, Jurassic Park limited edition print with a bespoke frame by our custom framing service.